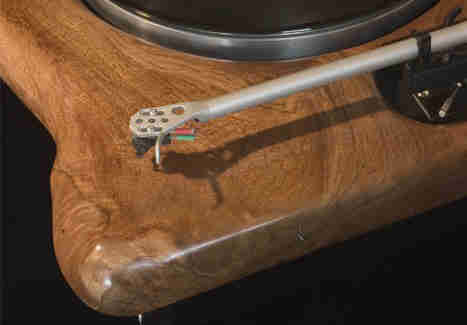 Wood has played a vital role in music history, from being used to construct early instruments, to being instrumental to the success of Next's Too Close. 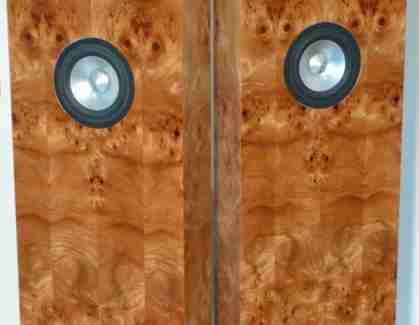 The latest development in the storied relationship: Audiowood. 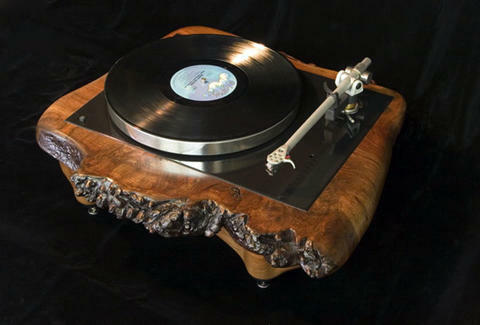 From a woodworking enthusiast whose first crack at a handcrafted turntable drew so many rave reviews he decided to make it a full-time pursuit, AW makes carefully carved turntables and other audio equipment that's so impressively burl-y it will be the envy of all your hobbit DJ friends. MC Baggins in the house! A few highlights: El Diablo: A solid redwood burl table with ebonized maple legs, ED's finished off with a hand-rubbed varnish and paste wax, not to be confused with paste whacks, which glue eaters quickly become. Thor: Made from a mix of walnut burl and solid ebony, the Thor's modeled after an old-school analog fave, the Thorens TD 160 MKll (throw on some Scorpions and let your friends know they should GET OVER HERE!!). Speakers: Customizable with a variety of woods (cherry, maple, black ash) and finishes, AW offers monitors, plus a floorstanding joint made with a Jordan 92 Driver, which hopefully doesn't get fouled up by Knicks. Soon to come is his "plyboo" line, which includes an iPhone dock, turntable, home theater console w/ built-in speakers, and a custom iPad 2 shelf, all made from an eco-friendly bamboo plywood that's a little harder, so step back, you're dancin' kinda close.